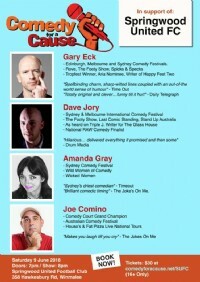 We have some great internationally renowned comedians locked in. BYO alcohol. Snack bar will be open.